Fully standalaone truck with it’s own tunings, wheels, sounds salons and available to purchase at Volvo. Some more lost materials have been returned. Refined and improved registration engine performance. KrAZ spelled out in a separate slot in the Volvo dealership and now nothing replaces, maximum compatibility with other mods. Integrated fix starbursts – aligned illumination for peace, with the view from the cockpit and outside. The glow of a pack of cigarettes, seats and a Central tunnel is also reduced. The author of the fix – Bo Ezduk. 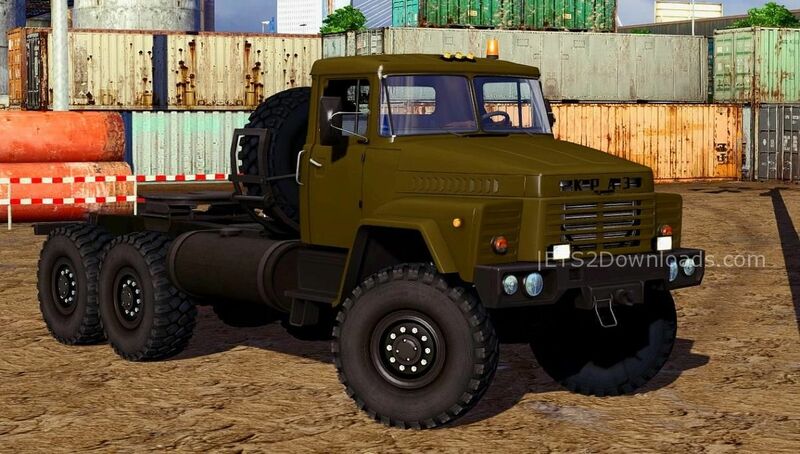 Added mod approval KrAZ companies to work for “uncle”. Is an optional extra. 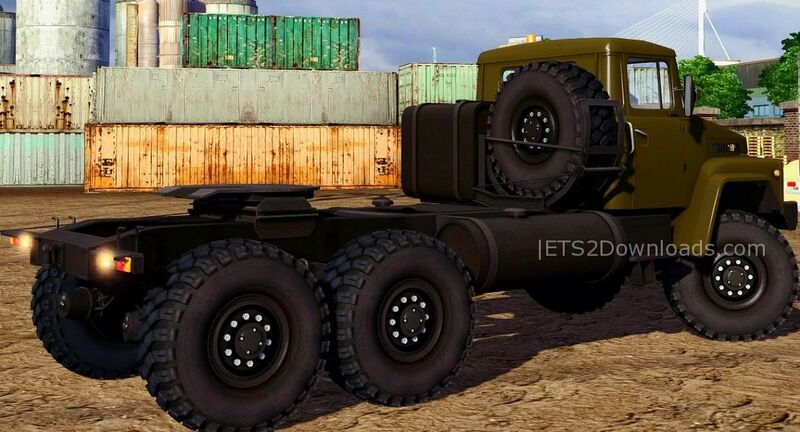 Installations: Place the file Kraz_260_in_companies.scs to the \mod \ folder and connect to the “mod Manager” above the main KrAZ 260 mod.